Instant photography offers you the opportunity to capture remarkable moments in everyday life and hold a tangible memory in a matter of seconds. It’s easy to fall in love with this art form, particularly if you have a penchant for immediate gratification. Of course, the only thing better than taking fabulous photos is sharing them with your favourite people. 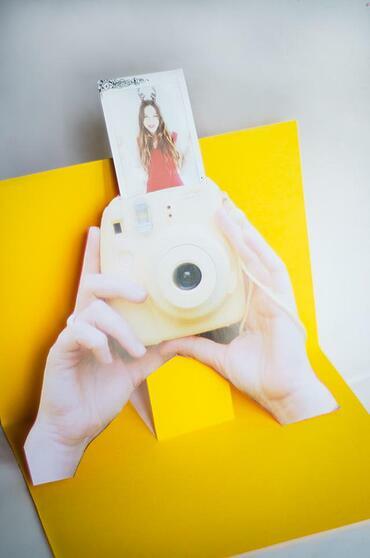 Luckily, there’s no shortage of fun photo gift ideas with instax. 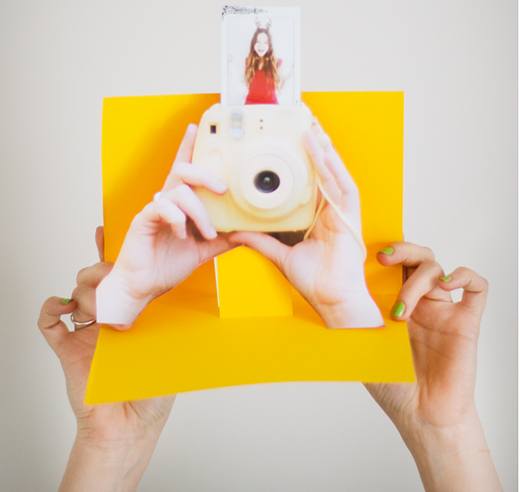 Here’s a new DIY tutorial featuring photos and inspiration from fashion blogger Jo Fletcher of Lost in the Haze: Pop-up photo cards! Keep reading to learn how to create beautiful 3D works of art for your family and friends. Best part? No goofy glasses required. To get started, you first need a little photographic inspiration. Got it? Great! 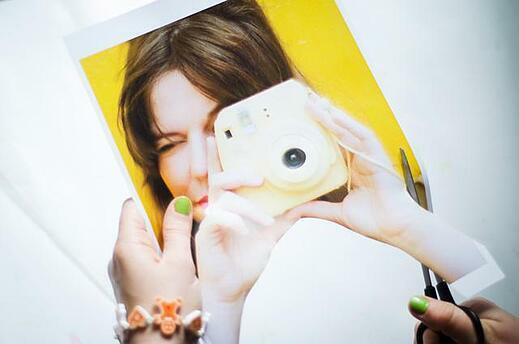 Now, grab your instax camera and shoot a fresh masterpiece. Snap a group shot of your friends, your pet or snag something from your current collection of prints—whatever you think your card recipient will love most. Don’t worry, we’ll wait. For this part, you’ll need a friend. Pose with your instax camera as if you’re about to snap a shot, and have a friend take your photograph with a Smartphone or preferred Fujifilm digital camera. Next, upload the photo, zoom in to just your hands holding your camera, and crop to a 13 cm x 18 cm. Then, print it out onto your sheet of white card stock. Using your scissors or crafting knife, cut out the background so only your hands and the camera remain. 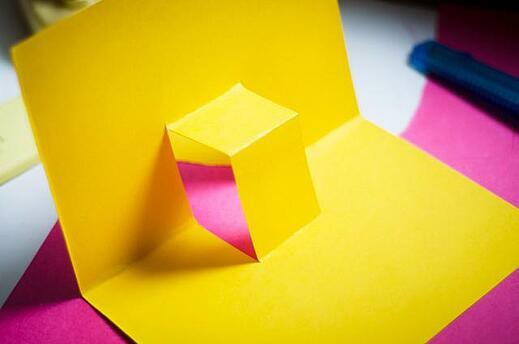 Take your sheet of coloured paper and fold it in half, like a card. Then, using scissors or your crafting knife, cut two parallel 7 cm slits in the card about 3 cm apart, right over the crease. Pull the tab up. Grab the photo you chose in Step 1. 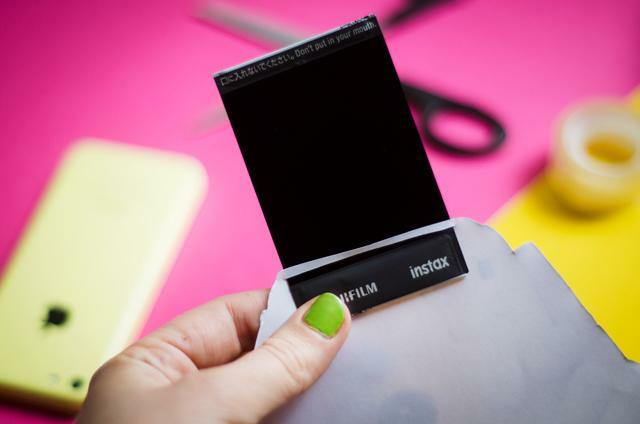 Cut a 54 mm slit in the top of the photo of the instax camera you took earlier, and slide the instax through. Secure the photo to the paper camera with a strip of tape. Using a couple small dots of paste, adhere your paper camera to the pop-up tab you created in Step 2. Using coloured pens, glitter and paste, stickers or whatever decorations you choose, personalise your card. Or, for a more minimal look, leave as-is. Whatever you prefer. Voila! You’re done! Step back and admire your work, then seal it into an envelope and mail it off to your lucky family member or best mate. Not only are you gifting them with a unique card, but you’re presenting them with a special craft they’ll cherish for years to come. Nice work! 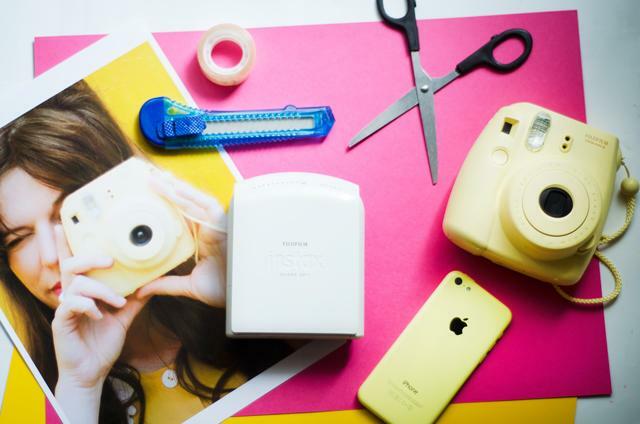 Instant photography offers plenty of opportunities for creative and fun crafts, but it all starts with instax. Check out our store and find the camera that speaks to you.